Emine was just 18 years old when she left the Turkish village Incesu in 1966 to work alone in Germany. The documentary tells the exemplary story of a migration that has taken place a hundred thousand times. What is particularly impressive is how openly and personally Emine tells her moving life story. On the DVD one can choose between a German and a Turkish language version. Additionally there are English subtitles available. Incesu is a small village in the middle of Anatolia. Her father sent Emine to Germany as a guest worker because he hoped she would help the family out of poverty. She could hardly read, write and do math since she was only allowed to attend school for two years. With an employment contract in her pocket, she set off on the long journey. Medical examinations in Istanbul had shown that she was healthy and able to work. At that time, Germany was urgently looking for workers for its economic miracle. 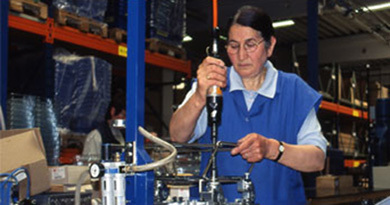 In 1961, the German government concluded a recruitment agreement with Turkey that brought many people from their villages to German factories. In the early years, twenty percent of the migrant workers from Turkey were women. Most of them came alone. Leipheim, a small town on the Danube, is Emine's new home, where she has been mounting shopping trolleys for supermarkets in a large factory for many years. 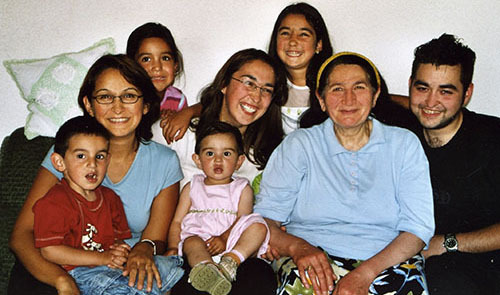 Like her four grandchildren, her three children were born and raised in Germany. 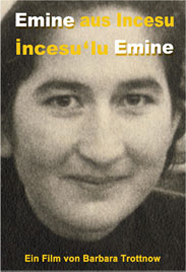 Emine has separated from her husband, who is also from Incesu and followed her to Germany. Over the years, Emine has always been drawn back to her roots, to her small village Incesu. The film shows her everyday life and work in Germany and accompanies her on a visit to her old homeland. Over there much has remained as it has always been: The women bake their bread on an iron plate over an open fire, and tradition is also emphasized otherwise. Emine allows a very open, unexpected view into her moving life, complemented by the statements of her brother and her children. Thus she tells of her fears as a young woman alone in Germany and the reactions in the village. Being worried that young men might come after her, she dressed like an old woman and always put on a wide coat. Grandma advised her to do so. The film empathetically documents how big the step was Emine made at that time. A return is not an option for her and her children. Emine is self-critical about why she never really learned German. In the companies there were interpreters in the beginning, and later she lacked the time for language courses. When she came home, tired from work, the children and the household would wait. 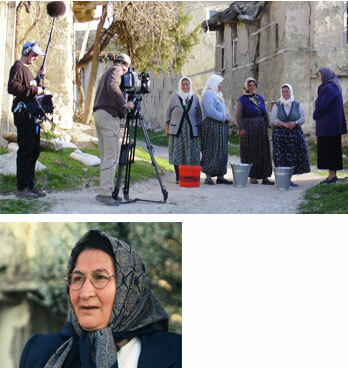 In the film Emine tells her life story in Turkish, her mother tongue. The German version is dubbed by an actress, the Turkish version offers the original sound and thus a higher degree of authenticity. Emine's children are proud of their mother. Son Nafiz considers it very courageous that his mother came to Germany alone, without knowing a word of German. And daughter Dilek knows how much she benefits from the fact that her mother has shouldered all the difficulties at that time. The three children speak better German than Turkish, have completed school and received vocational training. They have arrived in German society, but nevertheless they want to preserve some of their parents' traditions. Therefore it is important to Dilek that her little daughter later goes into marriage as a virgin. The film is well recommended for integration work and also for Turkish lessons.